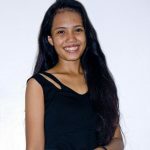 Six women crossed the Tañon Strait from Cebu Island to Negros Island on March 25, 2018, in celebration of Women’s Month. 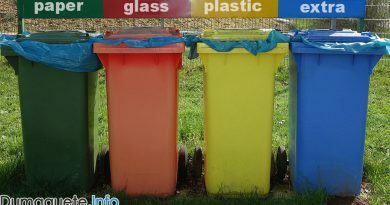 The main cause for this event was to raise awareness of ocean cleanliness and women empowerment. 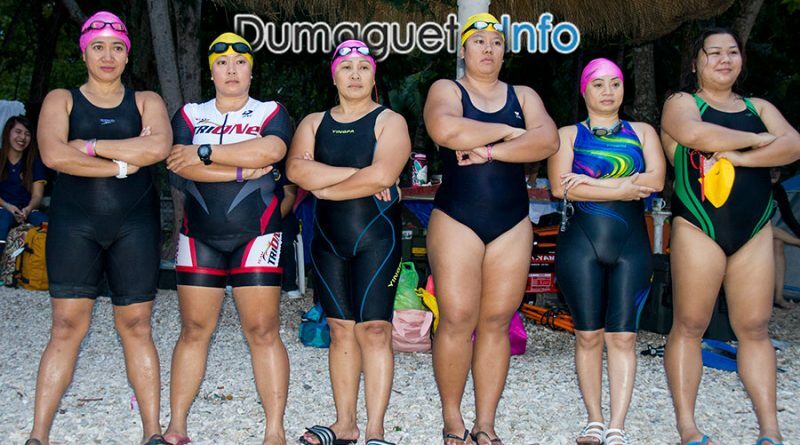 Ocean 6 is a group of six women who attempted to cross the Tañon Strait from Liloan, Santander, Cebu to Sibulan, Negros Oriental. For the first time in history, six brave women took on this challenge not only in celebration of Women’s Month but to raise awareness of ocean cleanliness as well. The group is composed of three registered nurses, one school owner, one doctor (retina specialist), and one admin leader of a call center agency. Ocean 6 Members left to right : Ching Furbeyre, Frances Yap,Sheila Pabalate, Maru Rodriguez, Flom Barot-Datoy and Monique Furbeyre. This event was created for the cause of empowering women to do great things in life; despite your size, age, and career. I decided to join this when part of the Ocean 6 called me,” Dr. Frances Yap said. I was inquiring about a knee suit because I planned to swim on my own at our beach, every day…It started from there. She said oh you really continuing your love for the ocean and stuff, why don’t you join us. And I’m like okay,” she added. The Ocean 6 swimmers stayed overnight at Pebble Beach Resort of Liloan, Santander, Cebu a day before the actual event. 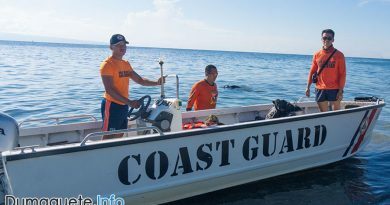 During their preparations, both the Bantay Dagat representatives and Coast Guards representatives took the full responsibilities of guiding the swimmers. One Rescue teams and their family were also there to show full support. 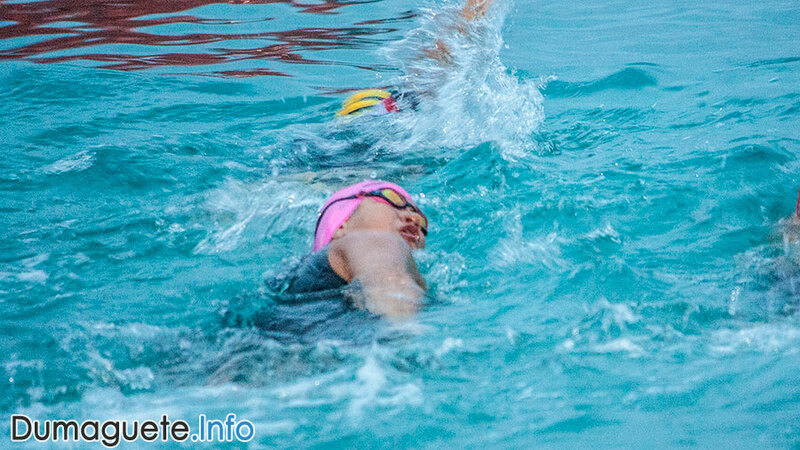 By past five in the morning, the swimmers started their warm up and finally left the coast of Santander, Cebu just a few minutes past 6 am. The cross only took three hours from the shore of Pebble Beach Resort in Santander, Cebu to the shore of Sibulan behind the Ramon Magsaysay Memorial Elementary School. The victorious event was then properly acknowledged in front of the swimmer’s family and of course the media. 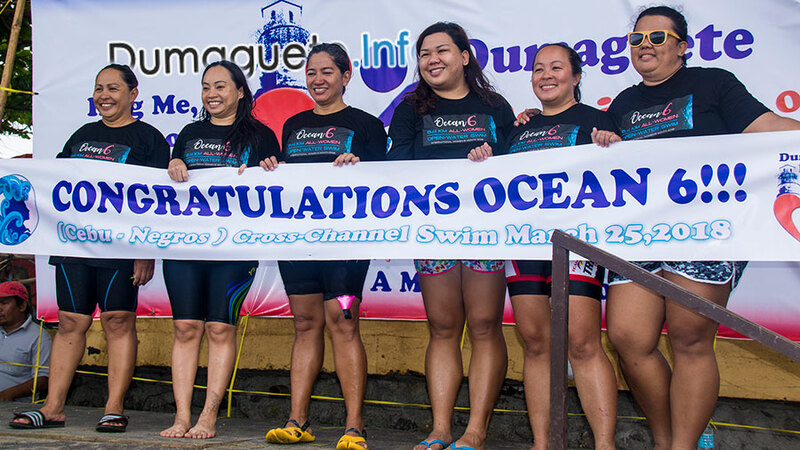 During an interview with Ocean 6 swimmers Frances Yap and Maru Rodriguez, they mentioned about encouraging other women to join next year’s celebration of Women’s Month by swimming across Tañon Strait as well. If they can do it, why can’t you? After all, when women support other women, incredible things happen! 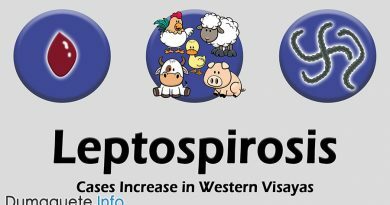 Watch Ocean 6 – Crossing Tañon Strait Video here!